Everything you wanted to know about choosing neon sign colors. Are you as color-crazed as we are? Selecting swatches can be fun, but sometimes even the most color-obsessed folks need a little inspiration. 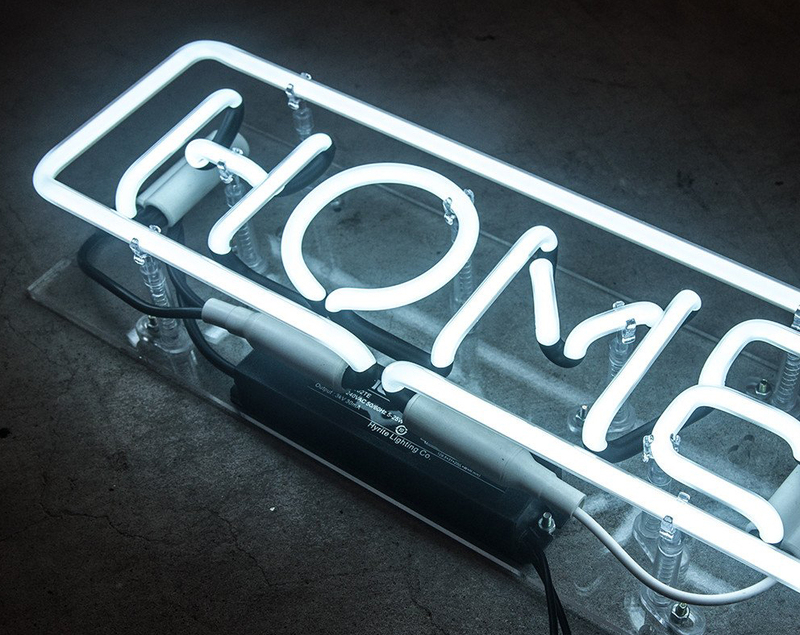 While scouring the web is a good place to start, we've hand selected 12 neon sign colors that will help you kick things off. Check ’em out! Are you a word nerd? A typeface fanatic? A graphic design diehard? If you’re like us, you’ll probably go nuts for these preferred fonts that contain all the letter-y greatness to take your neon sign project to the next level. So punny or so sweet – these typographic goodies can’t be beat! You’ve spent days meticulously planning your neon. And now that your ready to throw-down, you’re thinking you have to cover it up with ugly plastic cord-keepers and strange-looking, sticky-backed latches? Not a chance! In fact, Mondo Neon wants you to keep your neon safe without necessarily having to destroy the entire look and feel of your design. Check out our two best plastic backing solutions to make your neon safe - while maintaining a sense of supreme style. You Won’t Believe What We Can do to Neon! Mondo Neon has something for everyone - especially if you've already created your own design! From logos, drawings or some really cool image you discovered online, you won't have a problem because we can customize neon to suit your style. We truly aim to please! "Wow! I get a ridiculous amount of compliments on my neon light in the window of my store on a daily basis - not to mention a healthy boost in foot traffic. Thanks Mondo!"